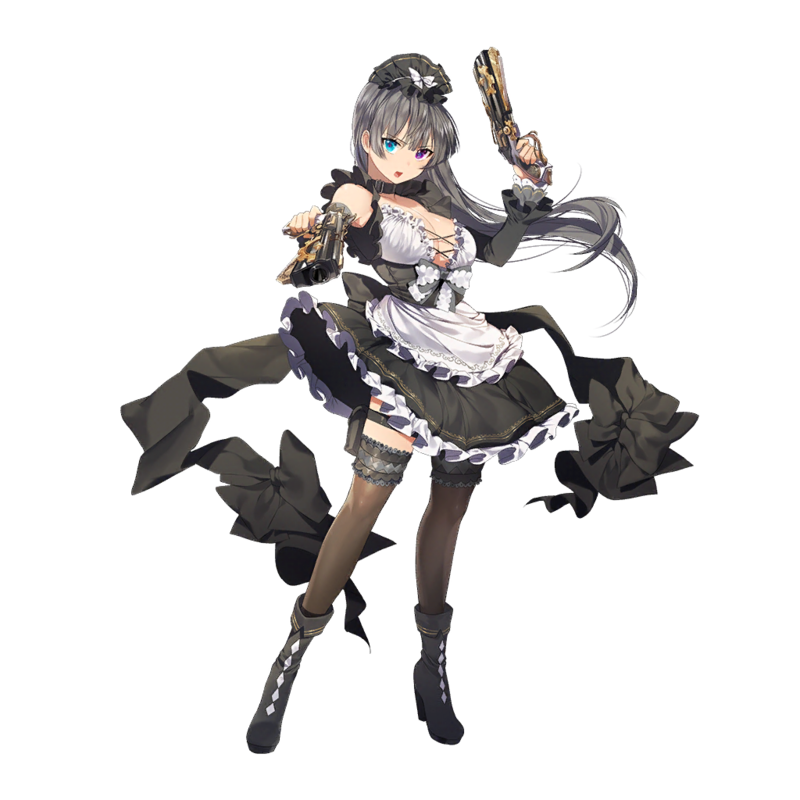 A deadly assassin with the cover of a maid. 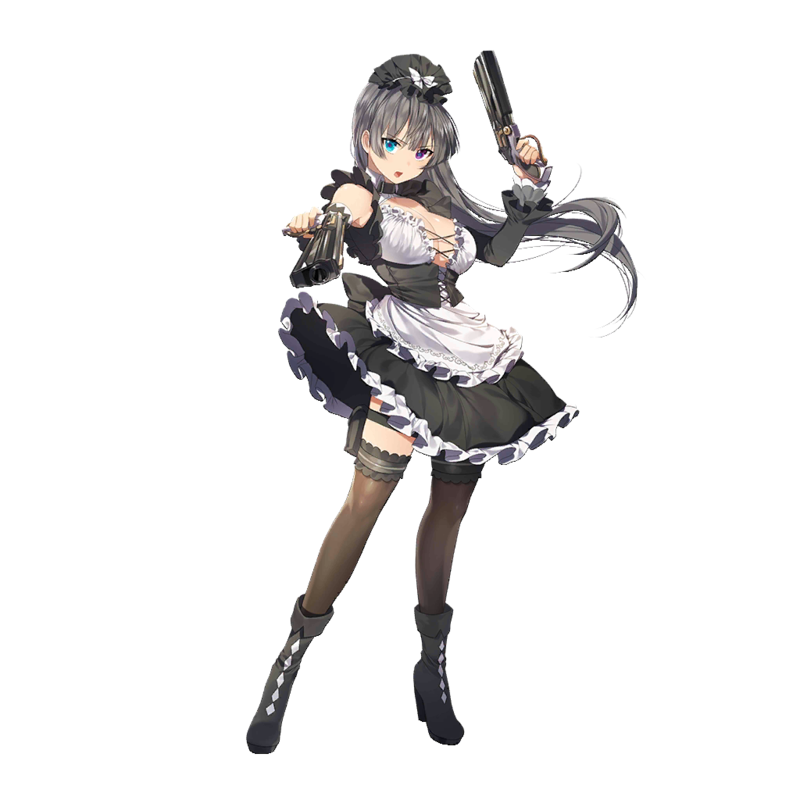 She wields two guns to systematically eliminate all targets with her partner Sasha. 40% Fire MATK damage 5 times to farthest enemy & 20% Fire MATK damage 10 times to nearest enemy. 38% Fire MATK damage 4 times & skill gauge 20% down to nearest enemy.